This lightweight roadster just got an upgrade. With an even bigger focus on enjoying every drive, the 2019 Mazda MX-5 Miata has been redesigned to make each time you get behind the wheel a true experience. This automotive masterpiece offers a range of trim levels and features, making this year's model a standout. There are few vehicles that can compete with the luxury and indulgence of the 2019 Mazda MX-5 Miata at Santa Fe Mazda. Drivers looking to get behind the wheel of the performance-ready 2019 Mazda MX-5 Miata will have three trims to choose from – Sport, Club, and Grand Touring – with an affordable starting price of just $27,080. Packed with an upgraded 2.0-liter four-cylinder SKYACTIV®-G engine, the 2019 MX-5 Miata effortlessly offers you 181 horsepower at 7,000 rpm and 151 pounds-foot of torque at 4,000 rpm. With a nearly 50/50 front-to-rear weight distribution, the MX-5 Miata lets you take on every turn and curve with confidence. The 2019 MX-5 Miata Soft Top features heated, leather-trimmed seats, letting you sit in the lap of luxury. Passengers of the MX-5 Miata will be surrounded by sound with the integrated BOSE® 9-speaker audio system and headrest speakers. When it comes time to drive with the top up, drivers now have the option of the classic black soft top option or the now available brown soft-top, giving you the ability to show off your unique style. Mazda has redesigned the traditional idea of headlights by giving drivers the option of the Adaptive Front-Lighting System. With this system your vehicle’s headlights are able to pivot towards the direction you are turning to help you see around corners at night and improve your visibility. The 2019 MX-5 Miata lets you keep your focus on the path ahead of you by displaying speed limits, do not enter information and more on the vehicle’s 4.6-inch LCD display with the help of the system’s mounted cameras. With automatic and manual transmission offerings, the 2019 Mazda MX-5 Miata can be perfectly tailored to your style. The 2019 MX-5 Miata’s 6-speed manual transmission received an upgrade and is now both smaller and lighter than the past generation’s. For those who opt for the 6-speed automatic transmission, they will find steering-wheel-mounted paddle shifters to let them effortlessly shift gears when they want a manual driving experience. Are you looking to take on this iconic roadster? Visit our dealership in Santa Fe, NM to get behind the wheel of a 2019 Mazda MX-5 Miata and try it out for yourself. 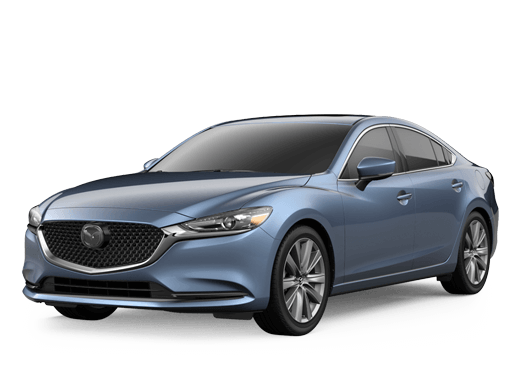 Check out our online inventory to see all of our latest Mazda models.